iOS 8 is finally here while the new iPhone 6 and iPhone 6 plus will appear in a few days. New APIs appears on scene, as well as new challenges to support the new screen sizes. I’ve been playing with the final version and here you have my findings. Google Glass has included a web browser. That means a new device factor for web development and Responsive Web Design. In this post, I’ll make a review of the browser and the HTML5 compatibility in the first version. The new BlackBerry Z10 is on sale around the world with a whole new operating system and browser. In this post I’ll go through the important information for web and app developers about one of the most powerful HTML5 platforms available today. October 26th 2012 is the big day for Microsoft: the launch of Windows 8, Internet Explorer 10 and the Microsoft’s tablet: the Surface. From an OS and an HTML5 point of view, it’s a really big step for Microsoft and for all web developers (even non-mobile) . Let’s review what’s important for us. It’s that time of the year again when the mobile web ecosystem changes. Google Chrome Beta for Android was released and it appears as the future replacement of Android Browser. I’ve made a deep analysis on the browser HTML5 compatibility and the comparison with Safari on iOS and Android Browser and I’ll show in this post my results. Android 4.0 was announced and the SDK was released. So, I’ve washed my hands, I’ve opened the emulator and I’ve started to dive into the new browser and see what’s in there and what’s not. Unfortunately it’s still Android Browser and not Chrome, but it comes in a better way. Velocity is an excellent annual conference organized by O’Reilly about web performance (WPO) and web operations. This was my second Velocity as speaker and I’m really surprised how bigger the show is this year. 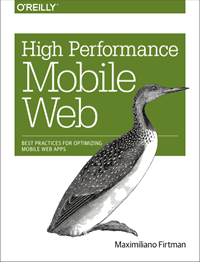 I did a workshop about mobile web & html5 performance optimization and here you have my presentation. As you may already known, iOS 5 beta 1 was released for registered developers and there was a presentation showing some of the new features in Safari. I’ve made the usual investigation to see what’s new and I find a way to show you what’s new in HTML5.